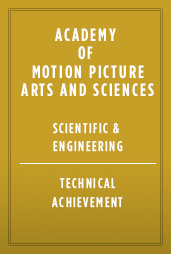 To Olivier Maury, Ian Sachs, and Dan Piponi for the creation of the ILM Plume system that simulates and renders fire, smoke, and explosions for motion picture visual effects. The unique construction of this system combines fluid solving and final-image rendering on the GPU (Graphics Processing Unit) hardware without needing an intermediate step involving the CPU. This innovation reduces turnaround time, resulting in significant efficiency gains for the ILM effects department.